Hello, I’m Sarabi, I’m a shy tortie girl. If you give me a few days, I’ll be following you around meowing for treats and weaving between your legs. I’m okay with other cats, but no dogs please. I love my big sister Goldie. Hello, I’m Goldie, I can be super shy at first, but I just need someone to give me a chance! One you get to know me I’m SO affectionate. I don’t mind other cats, but I get nervous around dogs. I LOVE my baby sister Sarabi. I’m getting used to taking my inhaler every day, it costs about $80/month and can be picked up an any pharmacy. Don’t let the FIV scare you, it’s highly unlikely that I will spread the virus, and the virus doesn’t bother me one bit. I will still live a normal happy life. 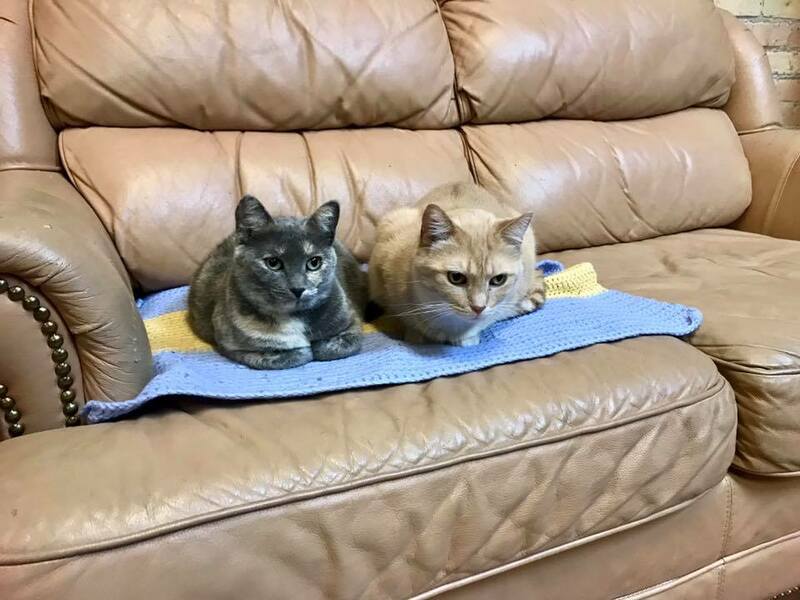 To apply to adopt us click here >>> ADOPT <<< We cost $100 for the pair!